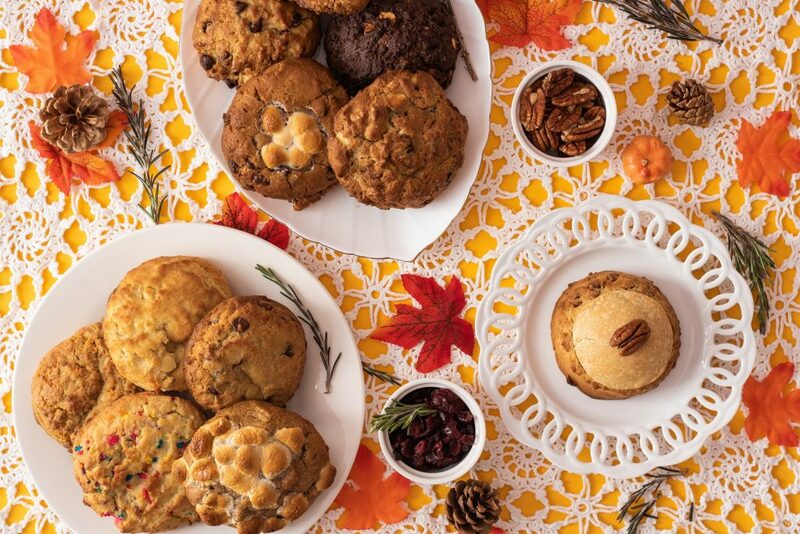 This Thanksgiving show your loved ones how grateful you are for them with an order from Chip NYC Catering! 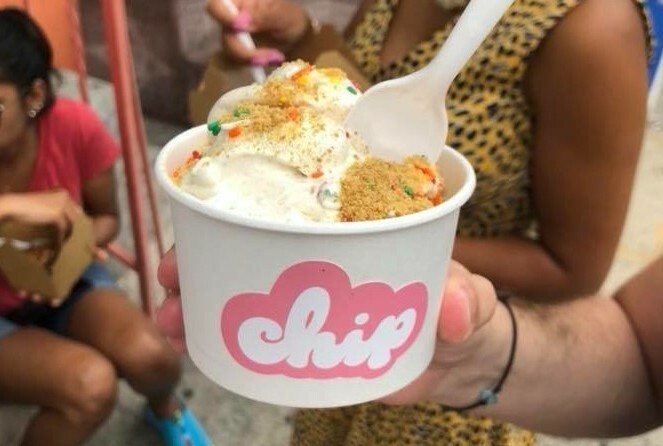 Chip NYC is accepting catering orders from now until 3 p.m. on November 20th. You and your family can enjoy classic flavors such as chocolate chip walnut, oatmeal apple pie, triple chocolate chip, and more! Our foodies team reviewed Chip back in July and we instantly fell in love with their chunky, gooey cookies. Simply put, it’s the cookie you dreamed about as a kid. You can read our full review here. In addition, Chip is introducing three new flavors for their Thanksgiving menu: sweet potato s’mores, pecan pie, and white chocolate cranberry oat. Sweet Potato S’mores features a sweet potato and graham cracker base topped with toasted marshmallows and a brown sugar sauce. Pecan pie features a candied pecan base topped with crispy pie dough. White chocolate cranberry oat features an oatmeal base with white chocolate and dried cranberries. 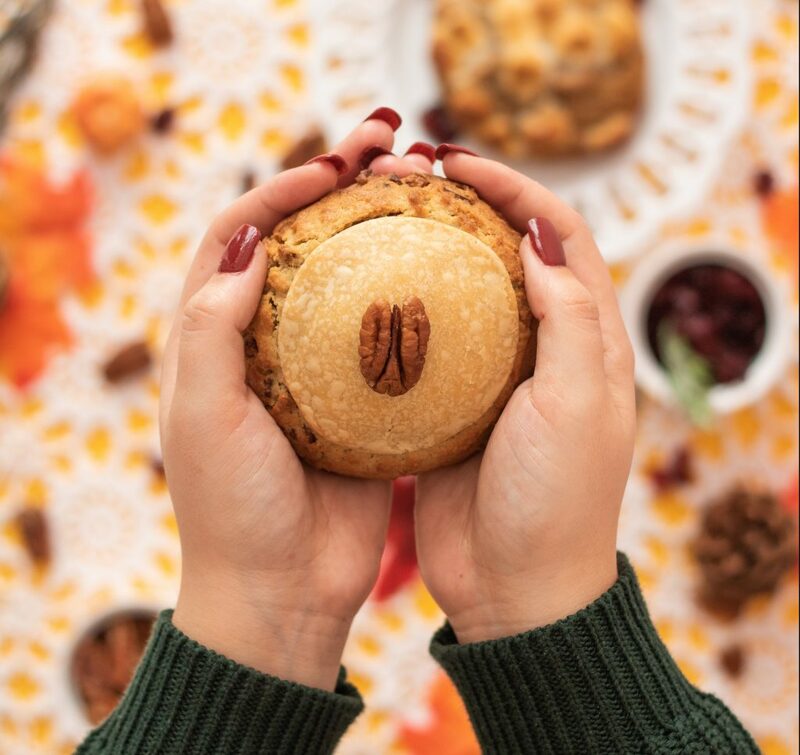 These cookies are sure to earn you the title as the family favorite this Thanksgiving. You can place your catering order here.